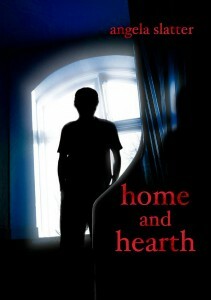 Mario Guslandi reviews my Spectral Press chapbook Home and Hearth at the British Fantasy Society’s page. Angela Slatter is firmly holding her position in my personal Top Ten list of favourite dark fiction authors since her outstanding debut collection “The Girl with No Hands” and her equally excellent second book “Sourdough”. Her narrative style is apparently direct and simple ( but how effective!) so much so that she’ s able to hide the sheer horror lurking behind it, ready to strike the reader with terror and angst. This entry was posted in News and tagged angela slatter, British fantasy society, Home and Hearth, Mario Guslandi, Spectral Press. Bookmark the permalink.